Huacaya Hills Alpacas is a farm located in Black River Falls, Wisconsin owned by Anna & Bob Becker. 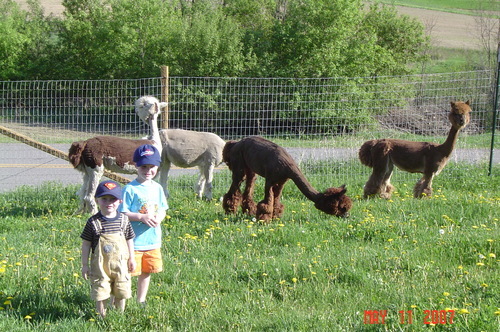 Bob & Anna Becker along with their two boys, Matthew (age 15) and David (age 13) own and operate this small family alpaca farm. 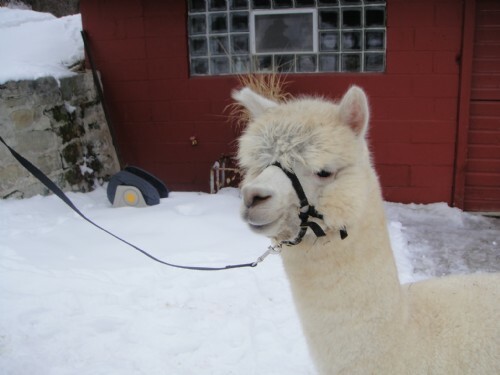 As a knitter, hand spinner, and weaver Anna’s love of all things fiber started the obsession with a venture into the alpaca lifestyle. 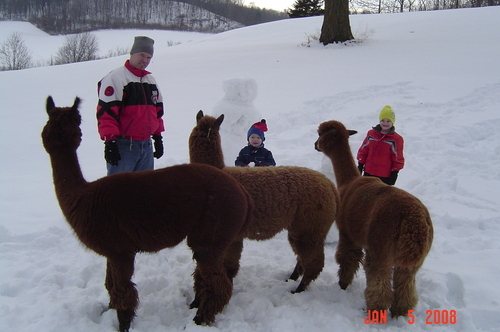 We began with a purchase of 5 alpacas in 2006. Since that time, we have slowly and methodically grown our herd through thoughtful selection of quality breedings to our females. Thirty four alpacas currently reside on our farm. 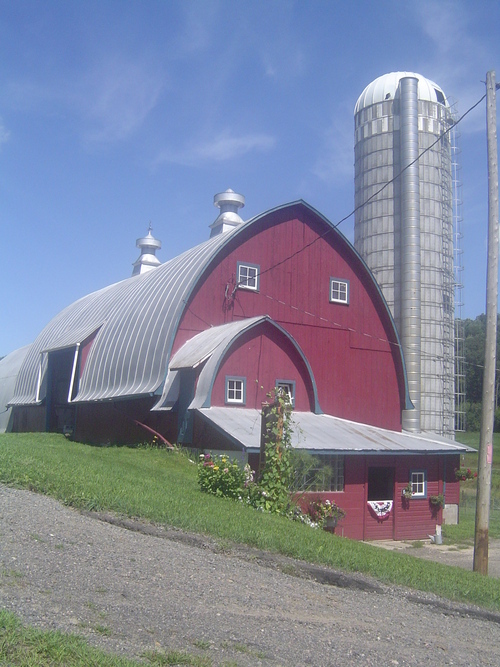 Our 17 acre farm is located 5 miles west of Black River Falls, located in west central Wisconsin in beautiful Jackson County. The site of our operation was once a Grade A dairy farm begun by Anna’s grandparents, Sylvia and Elmer Nemec c.1930. 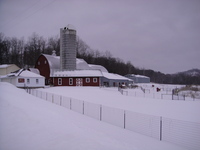 The dairy farm continued in successful operation by Anna’s Uncle, Larry Nemec, until he retired from dairy farming in 2005. With thousands of “volunteer” hours of labor from Anna’s father, Ed Nemec, the original wooden barn has been cleaned and repainted, fencing erected, new water lines and electrical wiring installed, and new gates and pens custom welded and painted. We produce and bale our own custom grown orchard grass hay. We believe in breeding for quality fiber and our small size allows us to provide hands on care for each alpaca on the farm. Every opportunity we get to send our fiber to a co-op, we take it. All our fiber is sheared by us, and we later ship it for it to be manufactured into our products. We also hand make and dye other items that we have here. Financing available for qualified buyers. Other packages can be customized to fit individual needs.